Compatible with nearly every battery backup or DC stair lift produced, these stair lift batteries are what you need when it's time to service your stair lift. 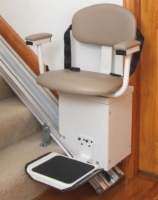 Compatible stair lifts brands include Acorn, AmeriGlide, Brooks, Bruno, Savaria, and Summit. 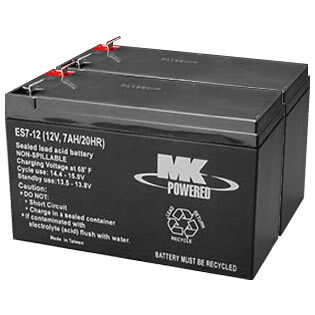 Each set contains (2) 12-volt, 7-amp batteries. Call 1 (800) 791-6819 now for the lowest price on replacement batteries!